PSX Mega Man X3 (JPN) "all stages" in 34:42.53 by Hetfield90 & nrg_zam. This version of Mega Man X3, released only in Japan, has a glitch which allows you to access Dr. Doppler's fortress without actually beating any of his Robot Masters. 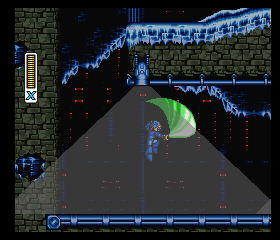 This glitch permits Hetfield90 and nrg_zam to take a drastically different route from the SNES version, popping into Doppler 1 and Doppler 2 after only three Robot Master stages (and Vile's Factory) to get the Z-Saber far earlier than should be possible.